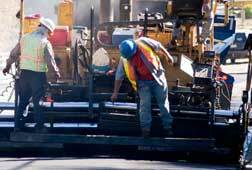 We've developed a set of Contractor Quality Plans, Programs, and Manuals for federal, state, and local Department of Transportation construction projects. (Form FHWA 1413) "Inspector's Daily Record of Construction Operations"
We'll assemble a quality plan, program, or manual based on your company and contract specifications and personalize it with your company name, logo, and project information. You plan will include Inspection forms for your scopes of work along with information on your applicable regulatory codes, personnel qualifications and inspection and testing standards. See by CSI Divisions for more information. Download a DOT Quality Plan Sample — Or, contact us at 410-451-8006 and we'll answer all of your questions.